I have been thinking a lot about the word, “need,” as opposed to want, wish, hope for, etc. I think about it in terms of my job. What do I really need as a teacher? What do I really need as a fan? What do I really need as a person? This sounds like an easy question but I have decided that it is far more complex than what it initially appears like. Let’s take fandom. After all, everyone reading this can probably relate to that the most. As news snippets have come out about the writing and recording of the next Duran album, I find myself thinking back to the time in between All You Need Is Now and Paper Gods. I had such an amazing time with AYNIN that I felt a weird sense of desperation. I wrote about my anxiousness about what I thought the band should do in between albums. I probably wrote about playing more shows or releasing something, anything in between. Did I need the band to do that? I probably thought I did then but I’m not sure if that is really what I needed. Did I suffer immensely between there was a big chunk of time in between All You Need Is Now and Paper Gods? Suffer? I don’t think so. Yes, I would have wanted something from the band to keep all of the awesome feelings continuing but I didn’t *need* it. My fandom remained as did many others’. I might have written about how I thought the band needed to do something to keep their fans loyal to the band, to keep fandom alive. Did some fans leave? Probably. Would some of them have left anyway? Maybe. Interestingly enough, as I thought about how I thought I needed the band to do something to keep interest, I never once really considered what the band actually needed. Maybe they needed a break or time away from each other. Perhaps, they needed to spend time with friends and/or family. In thinking about this, I realize that my “needs” might be different from their “needs.” Could this happen in real life, too? As I think about my job, I know that there are some aspects that I really do need to have in place. How do I know? Simple. I know that if I did not have these elements that I would be looking somewhere else. I’ll give an example. I need to be part of a team that I love. I have taught in buildings without being a part of a team. It was lonely and emotionally tough. Now, of course, some people out there might argue that this is still a want rather than a need. I guess it depends on how it is defined. Would I die without it? No. That said, I would leave without my teams. I need it for job satisfaction and my happiness on the job. What about my needs in my life? I have been thinking hard to determine what I really need. Much like my job, I know that there are some parts of my life that I really require. What I need, though, in my life or my job might be just like the situation with Duran. What I need might be the opposite of what they need. How do I navigate this difference in need? I’m not sure. This I know. I cannot be mad or upset if other people or Duran (as the case might be) have different needs than I do. No one should be blamed for that. At the same token, I think it is totally fine if there are different needs. It doesn’t mean that they are wrong or that I’m wrong. So, if there is something I really need with my fandom or my job or my personal life, it is okay to seek out what I need while I need to be understanding that others might feel differently. It is a weird balance that I am trying to achieve. I know this much. It means cutting Duran and others in my life some slack and asking for others to cut me some slack. Maybe this is my weird attempt at a kinder, gentler version of myself. Perhaps, it is just showing that I’m trying to learn and to be more understanding while asking for the same from others. It’s been a long time since I mentioned any sort of book news, hasn’t it? It’s ready. I’ve never been more sure of that. By the time it’s published, it will be the right time. Durantime! There is something very satisfying in hearing Amanda say “Ok, it’s done!” after seeing her click “send” on our query emails and attachments. In a lot of ways it feels like we’ve already met our goal because we’re sending these proposals out. Finally!! (Amanda would not agree with me on that, but I’m thrilled just the same.) On the same token, I’m hopeful that we find a publisher willing to take a chance on us. I believe the process might be easier if I had more letters by my name. I do not have a master’s degree or higher, which for the type of book we wrote, might have been helpful. It’s not your fandom-tell-all, and it’s absolutely not a love note to the band, either. We tried to make the book personable and funny (because if you’ve ever been with Amanda and I on a touring road trip…well…that’s funny! 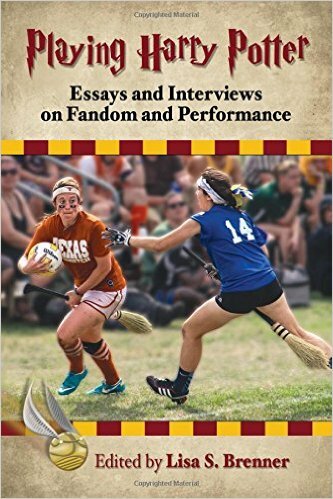 ), but also as a sort of ethnography about fandom as a culture. Publishers seem to like those extra letters when you’re trying to sound smart, I guess! At the very heart of who I am though, music and fandom is my true passion. I care more about music and fandom as a type of culture than anything I’ve ever studied or spent time learning or researching, and it just so happens that Duran Duran is at the core of those things for me. I would rather talk about music or art than anything else. I’m thankful I have friends online that indulge me from time to time! Amanda’s education, however, lies in women’s studies and exceptional education, and she does have her masters. Believe it or not, those degrees (or lack thereof in my case) make a difference to a publisher. One doesn’t send in their entire manuscript with a proposal, so decisions are based upon a couple of sample chapters, an annotated table of contents (think outline), resumes (goodness I haven’t earned a real salary since I was 26 and I’m now 45!) along with a survey of the proposed market, it’s conditions, and whatever else the publisher wants. On one hand, I’m excited. I want people to see the finished product. I don’t think I’ve ever put my heart and soul into anything like this project. I suppose that for me, even if it were to never find a publisher, I know it is my best work and I’m proud – but make no mistake, I want it published and I’m not stopping until it is. We owe ourselves and the manuscript at least that much. On the other hand, I’m also scared to death. I only have a tiny sense of what it is like to produce work that is consumed by someone other than myself (because of this blog), and once it’s out there – it no longer belongs to you, which is quite frankly a bizarre sort of feeling. But, I’m not at that point yet, and there are no guarantees. I’m just glad we’ve finally gotten the more tedious parts of the proposal writing process over so that we can send them out. Believe it or not, we are also going to start working on sending proposals to publishers (this time, we’re actually doing this the right way and sending proposals FIRST) for another book! Also about Duran Duran, but in a different vein. Can’t say more than that right now because we’re only just beginning that process, but I’m excited about starting and having to do hours and hours of research in the form of watching videos, listening to music, reading books and magazines and going to concerts! So, that’s the snapshot “where we are today” of book news. I know it’s been a long, LONG, progress. I hear that there’s talk of beginning a Daily Daily Duranie blog where discussion of why the fandom book is taking so damn long can happen! I would just like to say as our defense that Amanda and I learned from the experts – the band (!!) – on how Durantime works. We blame Nick, John, Simon and Roger because apparently Durantime is contagious. Who knew?!? I hate this time of the year. I always hate this time of the year. The holidays are over and the next vacation feels eons away. I find myself searching for something to look forward to. Anything. It doesn’t really matter what as long as it is something that breaks me out of the daily grind. This week, it has dawned on me that this feeling of blah is worse this year than most. Why is that? I got away from home for Christmas in which I got to spend time with my family. I had a vacation from work. The weather hasn’t been awful. So, what is my problem? Duran Duran. Well, Duran Duran isn’t the exactly the problem. It is the fact that I got super spoiled this past fall. Really, for Duranies, our holiday season started in the summer as songs were released, media coverage flowed freely, and countdowns for an album and concerts ensued. Then, summer turned to fall and more and more of our days were filled with Duran Duran. The album dropped and suddenly most of us couldn’t remember life before Paper Gods. Most of us, officially, blocked out Durantime! Soon enough, the fall US tour arrived and I spent a lot of time either getting ready or recovering from the shows I attended. Before I could completely recover, Duran Duran began the UK tour and again my online world was filled with watching for set lists, seeing posts and tweets from my UK friends about the shows, checking out videos on YouTube and more. Truly, the second half of 2015 was overwhelmingly filled with Duran Duran. There was so much Duran Duran that I struggled to keep up and I write a daily blog! I have to keep up!!! Then, the UK tour ended, Duran posts and tweets quieted down, which was okay. I needed time to prepare for the holidays. My shopping list was long and my packing list felt even longer. Once I arrived at my sister’s, there was little, if any, real time online. I checked in, solely to make sure that everything was cool, nothing more. I wasn’t social with friends because I wanted to focus my attention on my family, some of whom I don’t see very often. I figured that the members of Duran Duran were doing the exact same thing. Now, though, I am missing the Duran activity of the fall. I know that there is plenty of activity to come with more shows in the US in the spring and summer. I even know that eventually tickets for the Chicago show will go sale. See any interesting tweets or status updates lately? Anything related to Duran Duran? I have!!! (This is a miracle, too, since I’m knee deep in material for my evaluation at work! By the way, if you know occupations that require more work, extra work than your usual job, in order to be evaluated on that job, could you let me know? I’m keeping a list! Right now, all I have is teaching.) Enough of that! Let’s return to the fun stuff, those tweets and status updates about Duran Duran! Here’s what has caught my attention and why!! Duran Duran is playing/co-headlining at the Gibraltar Music Festival on September 5th! Tickets, I believe, went on sale yesterday! To read the full scoop and where to get tickets, head on over to the band’s official website! It seems to me that Duran Duran has a number of festivals booked this year. Want to see a complete list?! Of course you do! Life is Beautiful Festival: Las Vegas–September 25-27??? According to this blog, Duran Duran is set to headline the festival along with Stevie Wonder! Now, of course, this hasn’t been announced by any official source. Therefore, it is always possible that this isn’t true but I suppose it could be. That could be exciting! Of course, there is more than just the announcement of Gibraltar and the rumor of Vegas to increase my hope for a show for me! Can you guess the other reasons I’m hoping for more announcements of shows soon? I bet you can. First of all, as Rhonda mentioned in this blog here, Simon stated in a recent Kafe that there is something BIG planned for the U.S. and I doubt that it is this festival in Vegas. Thus, I cannot wait to find out what that is!!! Second, we know that there is usually a lot of activity surrounding a new single and album and those appear to be coming in the summer/fall. Finally, yesterday, Duran Duran tweeted about an auction, which you can see here. While auctions of this nature for a meet and greet for charity aren’t unusual, what caught many Duranies’ attention was this line: “UK tour dates will be announced within 2 months of auction end.” When does the auction end? In 3 days. That means that UK dates should be announced by July 19th. Will there be other dates for other places by that time, too??!? In this case, the tweets that caught my attention wasn’t by Duran Duran or a member of Duran Duran but tweets from friends about this interview here with Brandon Flowers. During this interview, he is asked about appearing on Duran Duran’s album. He denies it but “squirms”, according to the author of the article. Fascinating considering that in a recent Kafe, Roger mentioned that there was another surprise on the album and that his name started with a B. Brandon Flowers certainly does start with a B. As someone who loves Brandon’s music, I would be super excited if there was some truth to this rumor. Sadly, though, I’m doubting it based on this article on NME in which it is revealed that he has been working on New Order’s album, which I still am excited about. It isn’t Duran Duran but it is something! Here’s the thing. I see many Duranies out there frustrated, annoyed, sick of Durantime and how long Duran has taken with this album. I can’t blame any of them for feeling this way. I’m more saddened by the people, the Duranies, I used to speak with frequently over social networking who seem to have just vanished since it has been quiet on the Duran front. To me, when people stop caring and walk away is way worse than those who complain/vent/express frustration. Durantime isn’t easy. No one wants Durantime. No FAN wants Durantime. So, I figure right now I have a choice. I could either complain or I could try to find a way to push through. I’m trying for the second choice. I’m opting for focusing on what cool things could be coming up. The assumption I have is that the album will be fabulous and that I’ll do my part to make sure that everyone I can reach out to knows that! That said, let’s go, Duran Duran. We are ready. As soon as I read that, I had many, many thoughts run through my head. What do they mean by “greatest”? Greatest in what sense? Quality song? Well-known? Most commercial success? Please, please tell me now. If I think “greatest”, normally, I would go with one of their standards that everyone knows like “Rio” or “Girls on Film”. Yet, they also included the phrase, “most Lynch-ian”. Now, what does that mean? We all know that David Lynch is artistic, unique, even strange. What is your guess, fellow Duranies? My request might be for something like The Man Who Stole a Leopard. It fits, in my opinion. It is a “great” song and definitely a bit “Lynch-ian”. Dreams are free. Really?!? They are traveling all the way to Los Angeles to play ONE song? I get wanting to support a friend and a good cause but that still seems like a long way to go. Now, of course, there are going to be people reading that will remind me that I, too, am traveling for one song. I beg to differ, people. I’m on vacation then and I’m going to visit my best friend. I’m looking forward to seeing the one song but I’m looking forward to meeting new people and seeing some old friends there just as much. Besides, remember that I flew to the UK to see no shows in 2011, too. This is nothing, in comparison. Nonetheless, if the band wants to announce something else within that area during that week, I’m open. I would be happy to support. In fact, if the band were to have something else going on that I could attend, I would appreciate any and all announcements like now or yesterday. I have a plane ticket to buy and it would be good to know exactly what dates I should be there. Today, as usual, when listening to music, I had my mp3 player on shuffle. All of a sudden, a live version of “Girls on Film” came on. For a long time, songs that are often played live got skipped by me as I didn’t want to be truly sick of them. I didn’t want to kill the liking of the song. Anyway, I was folding laundry so I continued to listen to “Girls on Film”. Soon, I stopped doing what I was doing. Memories of Duran concerts came flooding back to me. I realized just how much I miss them. I miss seeing them live. There is a part of me that really worries that seeing them perform just ONE song will cause more harm than good. Will it make me want to see a full show MORE than I do right now? Will it just feel like a big, fat, horrible, torturous tease? This blast brought a lot of thoughts and reactions on my part. I wasn’t alone, though. I saw friends discussing what song might be played. I also found myself exchanging a lot of emails with Rhonda about this blast but also about the latest Simon Katy Kafe and the album news of a September release date. While the floodgates haven’t burst open yet with non-stop Duran news to discuss, there has been some Duran information to talk about. There is nothing that feels more normal to me than exchanging countless emails with Rhonda during the day about Duran news, speculation, etc. Maybe, just maybe, those conversations will keep us going until the ONE song at the Lynch event and after. Key word there is “Maybe”. The past several months of Durantime have become something far more involved than just waiting for the band to get their act together and drop new music or announce a tour. I’ve thought a lot about what I’ve gotten out of this fandom, and what more I really want to do. I’ve considered where I am with this blog and if I want to continue writing. I’ve also really thought about my husband and my kids and what is best for them. For a while, I put myself first in a lot of ways. If I had extra money, I had no trouble slapping down money to go to a show. My husband always had this weird comment whenever I’d ask if it was OK for me to travel to _______________ and go see the band play. He’d say “If that’s how you want to spend our money, that’s fine.” I never thought twice because it was exactly how I wanted to spend our money! I didn’t think about the vacations I could have taken with my own family or the fact that maybe Walt would have wanted to do something else. I figured he’d let me know when he wanted to go away….and so I went! Things change. I’ve traveled to the UK. I’ve done ridiculous things and traveled insane distances just to see the band. Some might say my priorities were out of whack. I’d say that I was doing a little escaping and that it harmed no one. I have done many things over the years where Durantime didn’t matter. I’ve hosted a couple of conventions. I have hosted a few pre-show meet ups. I’ve co-created a blog that went from zero readers to more than 12,000 hits per month at its peak. It has been really, really fun. More fun than I probably deserve. I’ve also thought about the things I’ve never done. I haven’t really spoken to the band before outside of an album signing. I’ve never interviewed any of the founding members. I have zero photos with any of them: founding member, ex-member, or Dom! I’ve never been backstage for a meet and greet, and I definitely have not gone to any after parties. Somehow though, I’ve come to the conclusion that if it really all ended and I never am able to get to another show, which at this point is a very real possibility unless things change drastically, I am very happy with what I’ve done. I have some sense that things have run its course. I could always do more. Can’t we all? But if I don’t, I’m OK. I don’t regret not having “physical evidence”, because my memory is intact. Durantime hasn’t made me forget the rush of seeing them on stage. I have not forgotten what it was like to see that yes, John Taylor really did actually mouth “keep singing” to Amanda and I so many years ago. I haven’t forgotten seeing Simon roll his eyes at Heather (my daughter) when she dared to do the devil sign at him during Tempted. Of course I remember seeing Dom play guitar in front of me and how lucky I felt to be standing there. I still recall the email from Dom telling me that he’d be happy to do a Q & A with Daily Duranie. Those memories don’t just dissolve, and no photo will ever be able to capture how I feel about those moments. I’m happy with what I’ve done. I could always do more, but if I didn’t – I’ve not a single regret. For the past few years at Christmas, my mom has given me a little money. Her intention was always that I buy myself something, but typically I’d put the money into my drawer, knowing that I’d save it to see the band or for travel expenses. This past year, I saved it thinking I might need it if things really got bad here with Walt’s job hunt, but I also thought that I’d use it for my concert fund as usual. Instead, I bought myself a mixer for my kitchen. That’s right. I, Rhonda Rivera – hater of all things domestic, bought myself a stand mixer. You know, one of those expensive Kitchenaid mixers with all of the attachments? I don’t know what happened. I don’t know why. I just know that after one late night infomercial where I saw the mixer in action – especially with the ice cream maker – I had to have one. I read about them online. I read the reviews. I researched the different models and options. I also saw the insane price tag. I found an excellent deal on Amazon that cut the cost down to something I could afford. I knew I had the money for it, but did I want to part with my possible Duran fund?? I struggled with Duranguilt during Durantime…but after much soul-searching, I gleefully bought my new toy last night. It’s the first tangible, expensive thing I’ve bought myself that had nothing to do with Duran Duran in many years. I don’t know what this means exactly, other than what Amanda and I have been saying about fans drifting away is really true, and I am proof of that. I also know that because I spent my Duran fund – it’s only a matter of time before a show is announced. (you all can thank me later) When I was a kid, I could focus solely (or almost solely) on Duran Duran. I didn’t mind waiting four years in between albums. Durantime didn’t matter, I didn’t mind waiting. It never occurred to me that there would be a time when I might not be able to see a show. Things are different now. I have a daughter graduating from high school and two more kids at home. My husband is job hunting and yes, we’re really worried about what our future may bring. I’m thinking about whether or not to go back to work, and if so, what am I going to do? If I had extra money right now, I can honestly say I wouldn’t spend it on Duran Duran. I don’t even KNOW when I would have ever said that before and in a lot of ways I’m really saddened that I feel that way. Damn it I’ve grown up, against all of my attempts not to do so. I can’t stop life from happening while Durantime carries on around me. Kitchen mixers are forever. On today’s date in 2012…A Diamond in the Mind (CD & DVD) was released! If you were one of the wonderful attendees to Durandemonium last October, you had the good fortune to see Diamond in the Mind on the big screen during our private viewing party! I knew the show would be great on a theater-sized screen, but it exceeded even *my* expectations….either that or we were all so show-starved that we couldn’t help ourselves from getting up and dancing in the aisles! Makes you kind of wish for another show…. Duran Duran is Going to Iceland!